INCLUDING 70 FEET OF YOUR OWN WATERFRONT AS WELL AS EXPANSIVE VIEWS OF LAKE ONALASKA AND THE MINNESOTA BLUFFS, THIS MAIN LEVEL LIVING HOME IS MOVE-IN READY. YOU CAN ENJOY ICE FISHING, KAYAKING, BOATING AND ALL THAT LAKE ONALASKA HAS TO OFFER OUT YOUR DOOR OR JUST SIT AND TAKE IN THE VIEWS OF NATURE FROM ALMOST EVERY ROOM. A PROFESSIONALLY LANDSCAPED YARD WITH IRRIGATION AND A BRICK PATIO WITH WALKWAY THAT LEADS TO YOUR OWN PRIVATE DOCK. THIS HOME HAS THREE BEDROOMS, AN OFFICE, 2 FULL BATHS AND FEATURES: A BOARD STORE 3-SEASON ROOM ADDITION, GEOTHERMAL HEATER, METAL ROOFING, TWO SIDED FIREPLACE, NEWER WELL PUMP AND SEPTIC SYSTEM AND HIGH-END KITCHEN APPLIANCES, RECENTLY REFINISHED HARDWOOD FLOORS, JUST TO NAME A FEW. 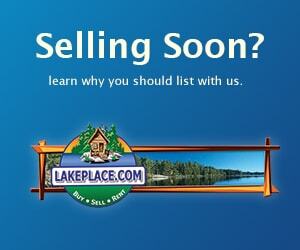 START LIVING THE LAKESIDE LIFESTYLE TODAY!